We are writing this newsletter from Oslo, Norway, where we're into the second week of our Nordic Tour. It's hard to believe that the first tour took place six years ago! At that time, the tour was three weeks long. Over the years it has grown to over three months. We're very thankful to Johan Wirsen and Rebel Kayaks for sponsoring the tour for the second year in a row and providing us with kayaks. Helen is in the Ilaga, and Mark is in a brand new design, the Husky. At the beginning of May, Helen was enjoying the warmth of the tropics at the Paddle Marathon Laguna Bacalar 2015, which took place in Bacalar, Mexico. After that she headed to the warmth of the Mokelumne River in Lodi, California to teach three Simplifying the Roll classes and one Simplifying the Rescue class. 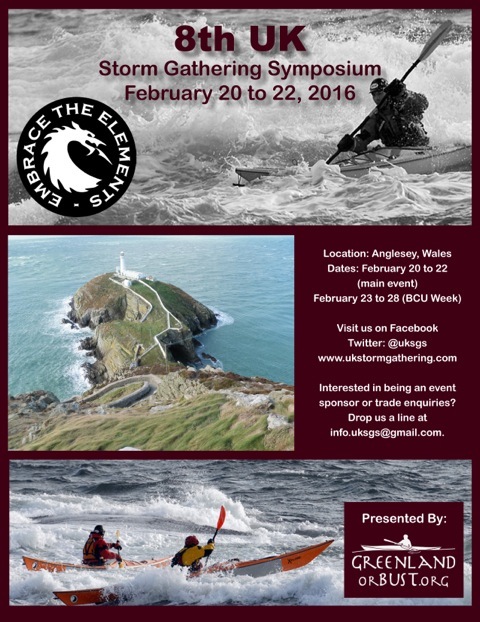 Meanwhile, Mark was in Pembrokeshire, Wales, running a BCU 4 Star Sea Training week, as well as a BCU 3 Star Sea Training and then a couple of BCU 4 Star Sea Trainings on Anglesey, Wales. The Nordic Tour started on May 23 in Asker, Norway, and as mentioned, we're now at our second stop, in Oslo, Norway. We'll be in Norway for most of June. Today is our last day of classes in Oslo, and tomorrow we'll start to make our way to the west coast, for classes in Fitjar, Bergen, Bekkjarvik and Stavanger. At the end of June we'll head to Copenhagen, Denmark, for classes there. Along the way we'll be doing some hiking, paddling and exploring. Norway is a beautiful place to be if you like the outdoors. Click HERE for our complete 2015 Nordic Tour schedule. As usual, visit www.greenlandorbust.org for more information and our current Events calendar and Blog postings. You can also follow us on Twitter. For questions, comments or to schedule us in your neighbourhood, e-mail: info@greenlandorbust.org. In April's Newsletter, we talked about the 'technical' element of the BCU's TTPP model and the part it plays in developing a paddler’s performance. This month we focus on a kayaker's use of tactical strategies can help achieve a successful outcome. To recap, this element represents how we apply our technical skills in any given context through our understanding of timing, angle, edge, trim, speed, cadence, use of water features…and so on. As paddlers, developing effective tactics to ensure success in our given environment is important. We might be able to demonstrate technically correct skills, but without considering the tactical element there is no guarantee of a good performance. For example, we may be technically able to edge our kayak, but if we edge the wrong way when entering an eddy we are likely to capsize. Completing a successful manouvre therefore requires the use of tactics which come from developing judgement, decision-making processes and the appropriate application of our skills in the chosen environment. In order to master tactical decision-making and develop good paddling judgement / strategies then we need to actively think about where we are paddling to; which waves to ride; what line to take; how we shape our course; and ways to deal with environmental factors such as swell, surf and current. 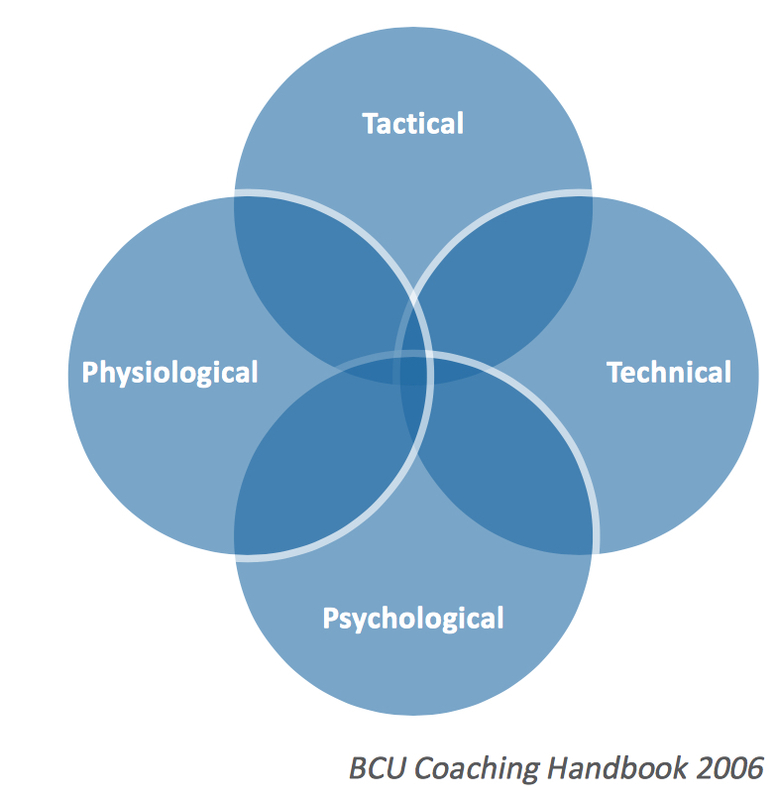 Once we are able to combine our Technical ability with Tactical application, we can focus on the Psychological and Physiological aspects of our performance. More on that next time. Working on your roll and need a little help? Simplifying the Roll with Helen Wilson and Yoga for Outdoor People are available from our on-line store HERE. Copyright © 2015 Greenland or Bust, All rights reserved.